What's the Best Dog Food for Great Danes? The Great Dane breed is a gentle giant that can grow to be over 120 pounds very quickly, but their sweet nature makes them perfect companion dogs. 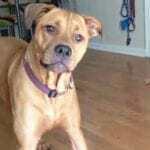 Unfortunately, this giant dog breed has stringent nutritional requirements and failing to meet them can result in several health problems that can significantly reduce their quality of life. It's essential that you feed your Great Dane the best dog food available throughout their lives to ensure that they're happy and healthy long into old age. 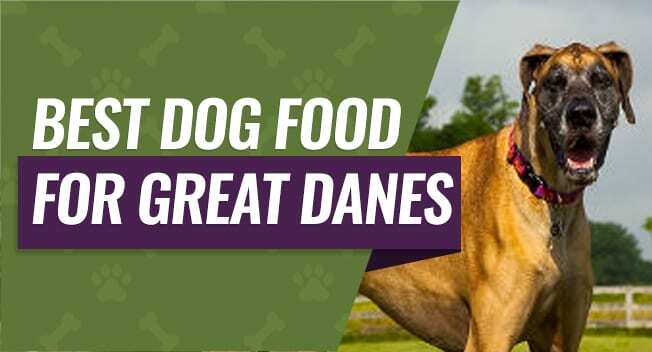 There are dozens of brands and types of food to choose from, so we put together reviews of six different foods for your Great Dane as well as a buyer's guide, so you know precisely what to look for when you're shopping. This is a giant dog breed, and you may think that you have to feed them massive amounts of food to support their growth. Unfortunately, this is incorrect because your Great Dane actually has a slower metabolism that most dog breeds despite their massive size. They will grow very rapidly, but they don't reach their mature size until they're around three years old. This means that you want to feed them smaller meals several times during the day. We put together a rough feeding guide estimate below. It's important that your split your dog's meals up into two or three equal portions and feed it to them around the same time each day. This will help reduce the chances that your dog develops bloat because Great Danes are prone to it and it can be a life-threatening medical condition. Your Great Dane has very specific nutritional requirements that you want to follow starting when your dog is a puppy and continuing on through their lives. You want to aim for a moderate to low protein diet when you feed your Dane. Ideally, the protein content should stay between 23 percent and 25 percent with the higher protein counts being fed to your dog after they reach adulthood. Protein is designed to help build up connective tissues and muscle, so bulking up your adolescent Great Dane with a lot of protein can actually lead to weight gain and weight problems. This additional weight can add more stress to your dog's bones and joints when they're developing and growing. Ideally, you want to feed your Great Dane food that is moderately low in fat content with the best levels ranging around 12 percent to 20 percent and not much more. You want to be sure that your Great Dane is getting good fat content and fatty acids like Omega-3 and Omega-6 fatty acids. Fats give your dog energy, and it is one of the most easily digestible parts of your dog's food. Additionally, your dog can't make Omega-3 and Omega-6 fatty acids on their own, so they have to get their required amounts through their diet. You'd assume that Great Danes are working dogs with a lot of energy, but this simply isn't true. Great Danes are a guardian type of dog instead of a working dog, and when you combine this with their slower metabolisms, you understand why they don't need a lot of calories. The actual amount of calories that you have to feed your dog each day will depend on the particular dog, their activity levels, and their age. You don't want to overfeed your dog, and this calculator can help you safely help your dog lose weight if they've gained from eating too many calories per day. You don't want your dog's food to have a high mineral count because this can lead to several health problems as your dog ages and grows. You want your dog's calcium levels to be 1.5 percent or lower to avoid problems, and the phosphorous levels should be at or below 0.9 percent. Along with the fat and protein content in your dog's food, there are several other important ingredients that you want to have in your Great Dane's food to ensure that they get a balanced meal. Antioxidants - Your Great Dane's food should contain a decent level of antioxidants because antioxidants help to reduce any inflammation your dog may have both internally and externally. Additionally, antioxidants can help smooth out your dog's digestive process and make them less prone to developing bloat. Digestible Proteins - As we mentioned, Great Danes are prone to developing a medical condition known as bloat, and this can be life-threatening if they develop it. Giving your dog food with easily digestible proteins can help to reduce the chances of digestive upset and bloat, and these proteins include things like muscle meat, organ meat, fish, and egg whites. 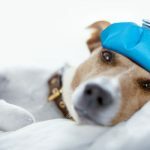 Nutraceuticals and Minerals - It's essential that your dog food has ingredients to support joint and bone health because these areas go through a lot of stress and wear and tear throughout your dog's life. Your dog food should have calcium, phosphorous, glucosamine, and chondroitin. Probiotics - Probiotics can come in the form of fiber in the dog food that helps to aid in the digestion process. 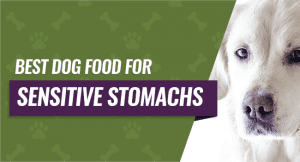 They'll help to keep your dog's digestion regular and this can help prevent bloat or gas build up that comes from eating larger amounts of food. This giant breed adult dog food is specially formulated with a powerful mix of botanicals, digestive enzymes, prebiotics, probiotics, and natural fibers to support your dog's digestive health. It has premium ingredients formulated in larger kibble sizes so it's easier for your dog to eat. This dog food is made in the USA following strict quality standards, and it comes backed by the Holistic Select Guarantee for peace of mind. You'll get high-quality ingredients including real protein sources like a chicken with no artificial dyes, preservatives, flavors, or meat by-products. 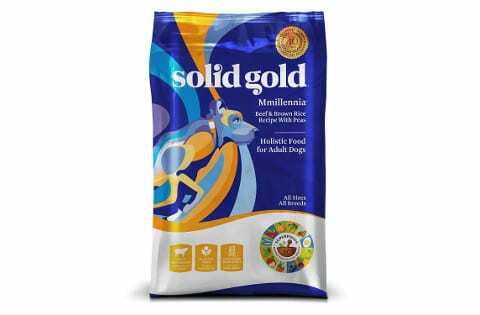 People who bought this food for their Great Dane liked that it comes with a formula that is centered around promoting good digestive health and a natural guarantee-backed formula. They didn't like that the kibble had a greasy feel and a very strong odor when they opened the bag. This senior dog food comes in four different flavor formulas, three different sizes, and it's meant for dogs six years old and older. It is formulated with high amounts of glucosamine and chondroitin to support healthy bones and joints as your dog ages. This dog food blend also contains antioxidants, vitamins A and C, amino acids, and easily digestible ingredients that are gentle on your dog's stomach. It's a natural formula with no artificial dyes, colors, flavors, or preservatives, so your dog gets a balanced and healthy meal blend each time that they eat it. Pet parents who bought this dog food liked that it came formulated to support your dog's digestive system, immune system, and skeletal system with a potent blend of natural ingredients. They didn't like that it was a more expensive choice and that it seemed to take a while for their dogs to transition to it. This large breed puppy food comes in large breed and large breed puppy with four different size options so you can customize it to suit your dog's needs. Your puppy will enjoy a larger kibble size and a formula that has ingredients like real meat from chicken, fish, or lamb and DHA to help support optimal growth. This dog food is made in the USA with strict quality standards, and it contains all natural ingredients excluding corn, meat by-products, wheat, preservatives, colors, or flavors. This means that you get a healthier formula to support your growing puppy's immune system, skeletal system, skin, coat, and healthy brain function. Pet parents who bought is dog food liked that it contains natural ingredients that are backed by the Eagle Pack Guarantee for quality. They didn't like that it could be too harsh for sensitive stomachs and that it can cause loose stools. You can choose from three different flavors and three different sizes when you order this particular dog food. 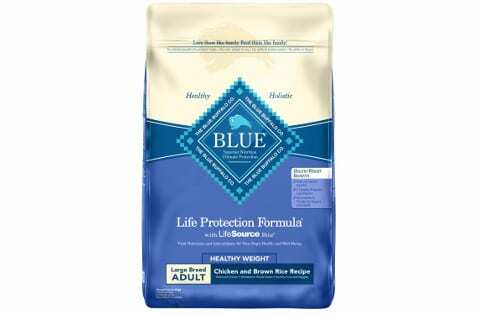 It has a 30 percent protein count, and protein is what helps your dog gain and maintain a healthy weight. It is good for dogs with sensitive stomachs and digestive systems because it has a gluten and grain-free formula with no dyes, artificial preservatives, flavors, or by-product meal. Additionally, the first ingredient listed on the bag is US farm-raised turkey, so you know that it has high-quality standards. 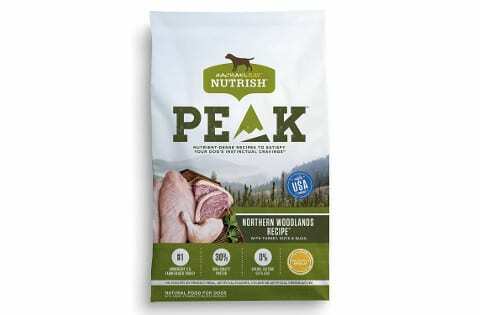 Pet parents who purchased this dog food liked that it had a very high protein content with a natural formula that contains no grains or gluten. They didn't like that this dog food was difficult to get some of their dogs to eat or that the packaging seemed to be less than ideal. This dog food is specially designed for overweight large and giant breed dogs to help them lose weight in a safe manner. You get the choice of four different sizes and several different flavor combinations to let your dog try. It is formulated with real meat as the first ingredient, and this is quickly followed by L-Carnitine to promote healthy and lean muscle growth, glucosamine for healthy bones, vitamins, minerals, and LifeSouce Bits. Your dog will get antioxidants as well without any extra calories to help them safely lose any excess weight. Pet parents liked that this large breed dog food comes with antioxidants, glucosamine, real ingredients, and L-Carnitine without any excess calories. They didn't like that this dog food had crumbly kibble pieces and that it smelled strongly like fish and the smell didn't go away. This sensitive stomach dog food comes in both wet and dry forms with several size and flavor options available to choose from. It's packed with over 20 different superfoods including pumpkin, carrots, cranberries, blueberries, lentils, kelp, broccoli, and almond oil. Your dog will enjoy healthy whole grains, protected probiotics, and fiber to promote digestive health without any soy, wheat, or corn because these are common allergens. It also has a high-density protein to support optimal growth and a balanced system both inside and out. Pet parents who bought this dog food liked that the formula has over 20 different superfoods without any corn, wheat, or soy to prevent allergies. They didn't like that this dog food had smaller kibble pieces that were more difficult for their dogs to eat. Our choice for the best dog food for the Great Dane breed is Holistic Select Natural Dry Dog Food. It contains a mix of probiotics, fiber, antioxidants, glucosamine, and more to support your giant dog both inside and out. This food also comes in a larger kibble size that is easier for your dog to eat, and the entire formula is designed to promote digestive health. Since Great Danes are prone to digestive issues like bloat, this is extremely important to us.